2012, innsbruck university press • iup ISBN 978-3-902811-74-5 • Download the book here. 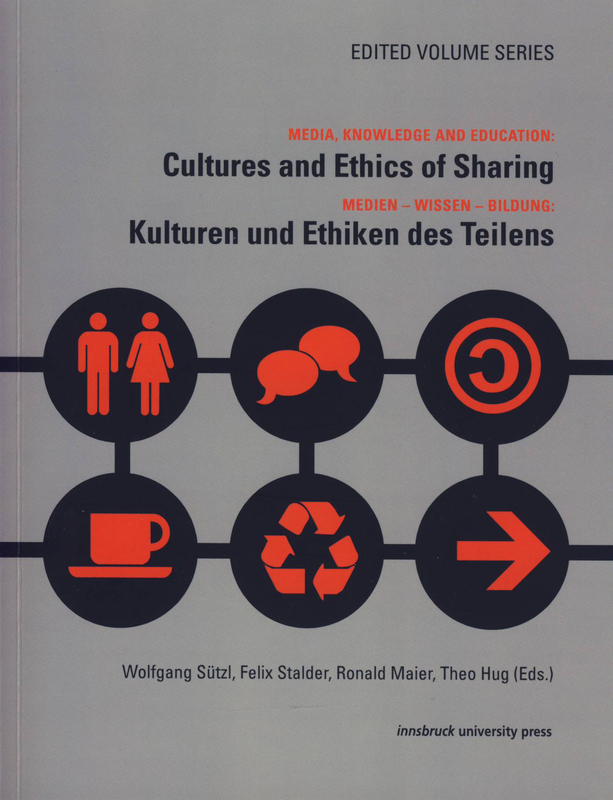 This is a volume of essays about sharing. Few people could have predicted that practices of sharing would gain such prominence in contemporary society. It is, arguably, one of the most unexpected developments of the early 21st century. Surprising, but not inexplicable. Over the last decade, numerous developments have taken place that created conditions under which new practices could flourish and the roles of sociability and sharing are being re-examined. For example, the very idea of man and woman as homo economicus, that is creatures that will naturally gravitate towards the pursuit of narrow self-interest and, thus, the need of society to organize itself as to make productive use of this supposed essential characteristic, has been called into question with renewed vigor. 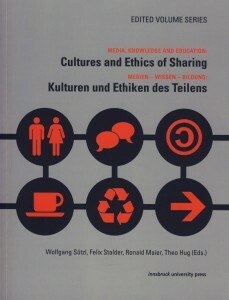 With contributions – half in English, half in German – by Manuela Farinosi, Manfred Faßler, Leopoldina Fortunati, Michael Funk, Doreen Hartmann, Andrea Hemetsberger, Aletta Hinsken, Tobias Hölterhof, Nicholas A. John, Magnus Lawrie, Claudia Paganini, Julia Rone, Klaus Rummler, Katherine Sarikakis, Hans-Martin Schönherr-Mann, Sebastian Sevignani, Alexander Unger and Karsten D. Wolf. My own contribution – „The Sharing Turn. Why we are generally nice and have a good chance to cooperate our way out of the mess we have gotten ourselves into“ – will come online shortly.